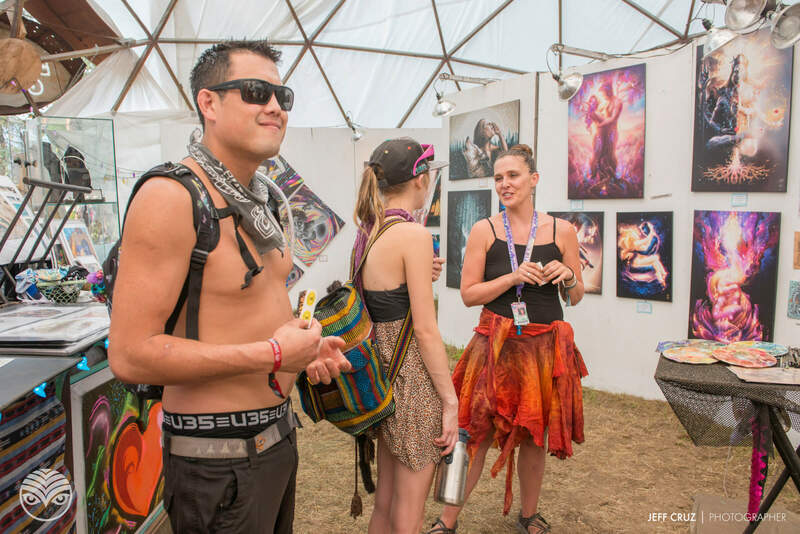 Shambhala Music Festival is a great event to showcase and sell your artworks. 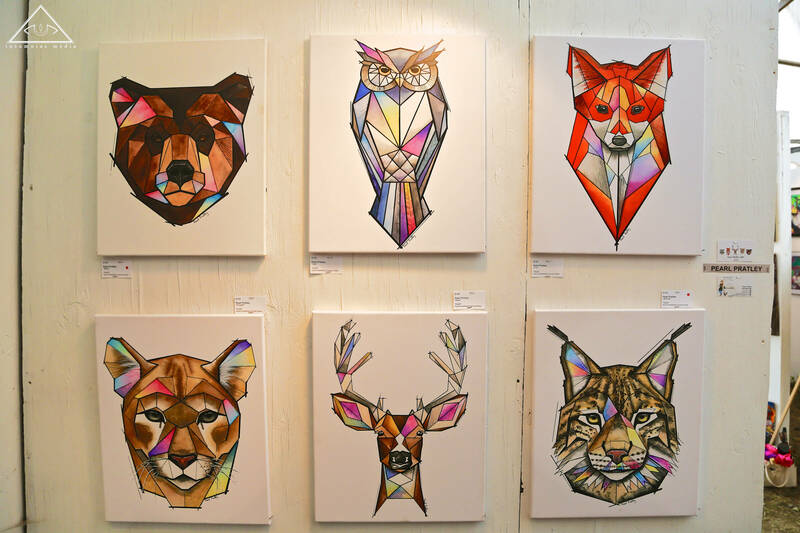 With an audience who are very receptive to and appreciative of art, sales are strong with many instances of multiple copies being sold on canvas giclées and printed reproductions. 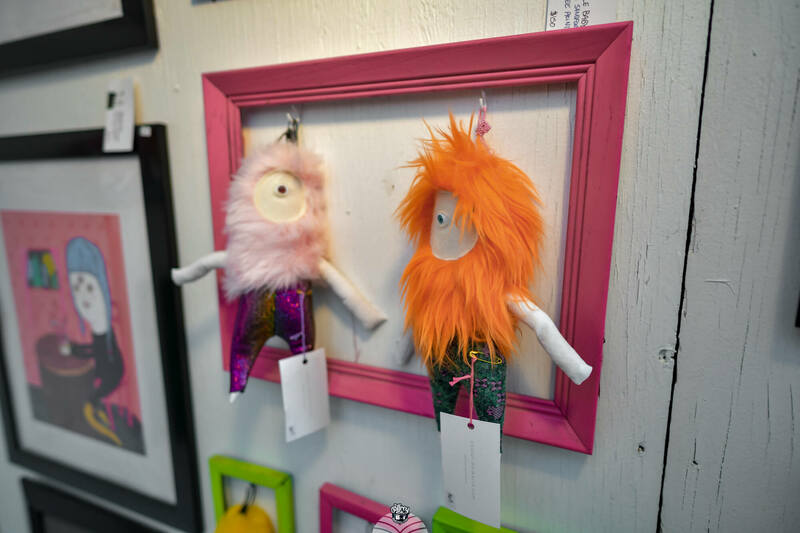 Original one-of-a-kind artworks are welcome and we provide a display area for smaller items such as cards, prints, stickers, etc. which are also very popular with our guests. 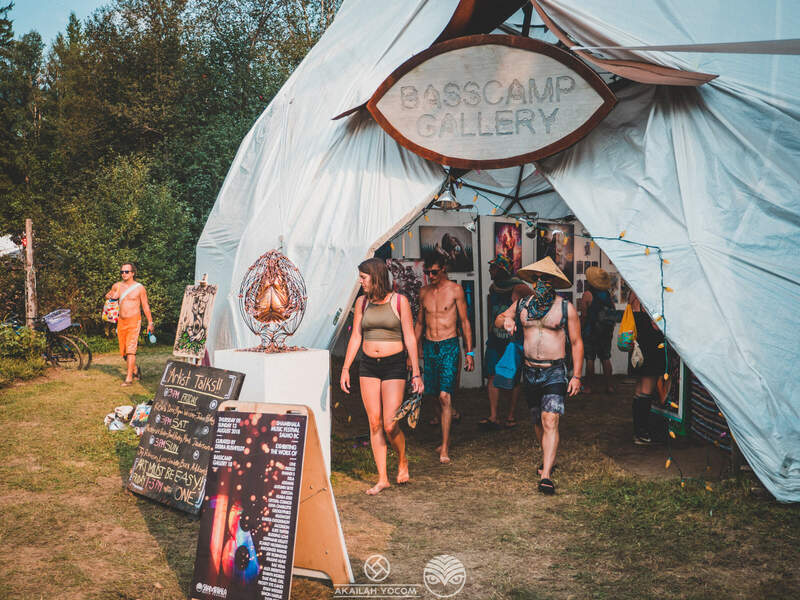 The gallery is located in the Basscamp Dome in the most central area of the event right beside the water fill stations, gardens, ATMs and close to the food court. 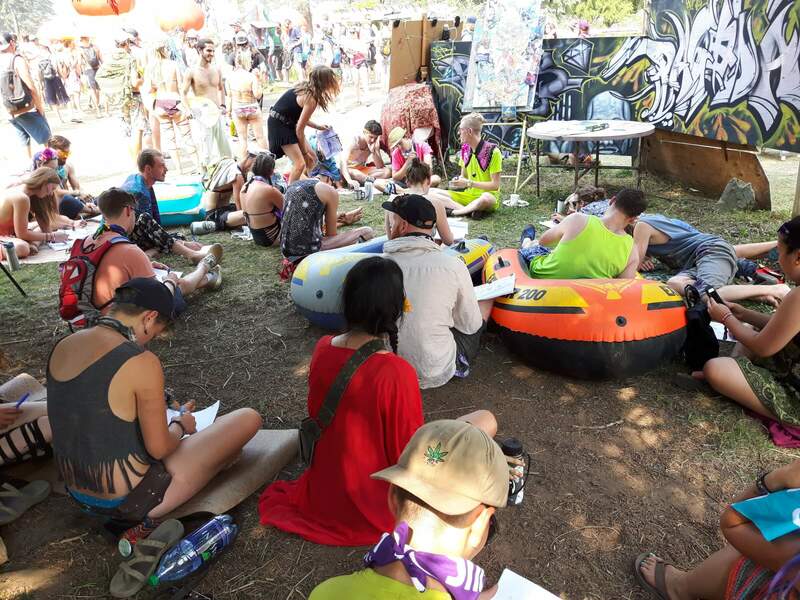 At night, it is a welcoming white beacon to festival participants, to enjoy a chill space to connect with the artworks and each other. 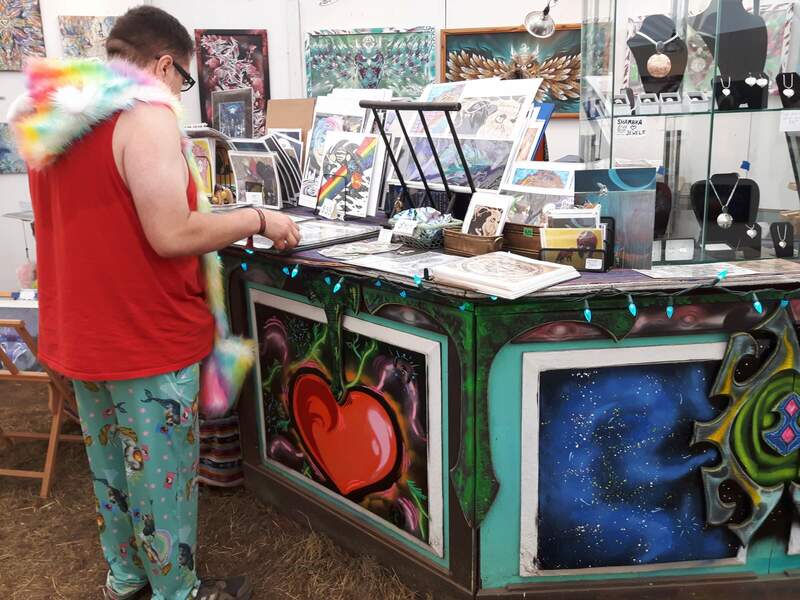 You DO NOT have to be at the festival to have your art displayed there. Instructions for shipping art to the curator will come with acceptance of your application. If you want to attend you will have to purchase your own ticket. 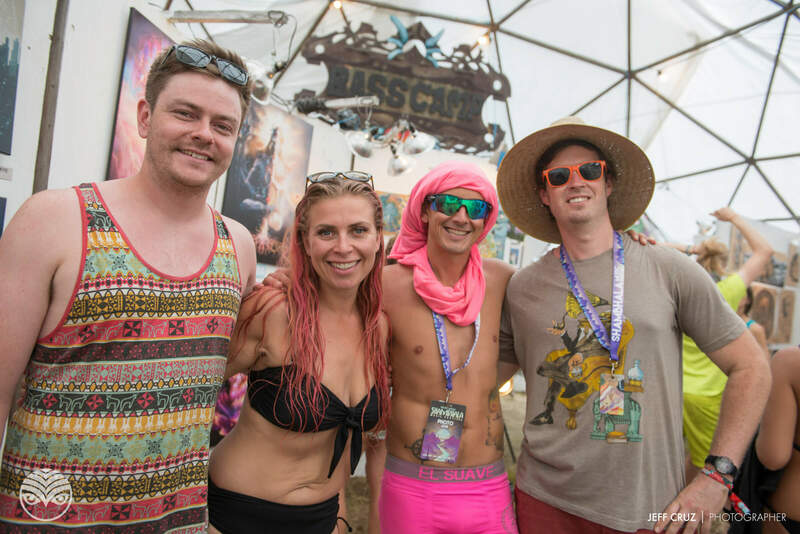 However, if you would like to volunteer and be part of the BASScamp Crew, there are a limited amount of passes given out. 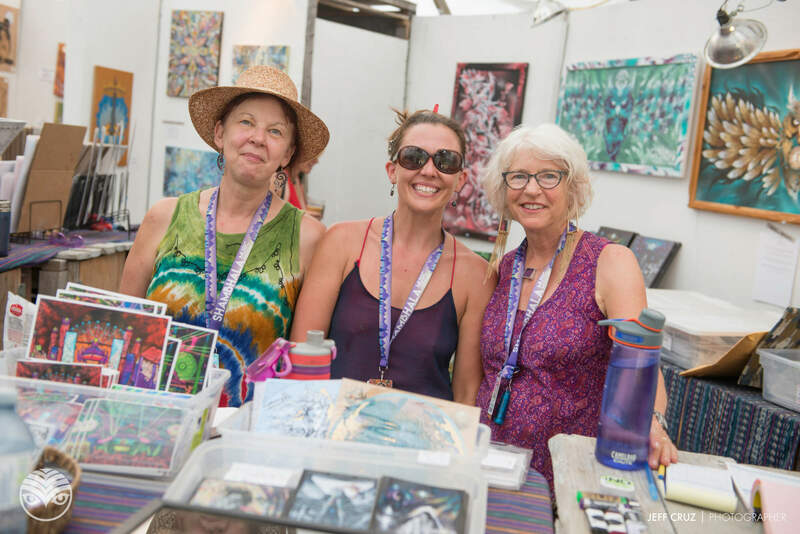 For your festival pass, you will be required to help with set up and take down, gallery operations and sales, and follow the curator's direction. 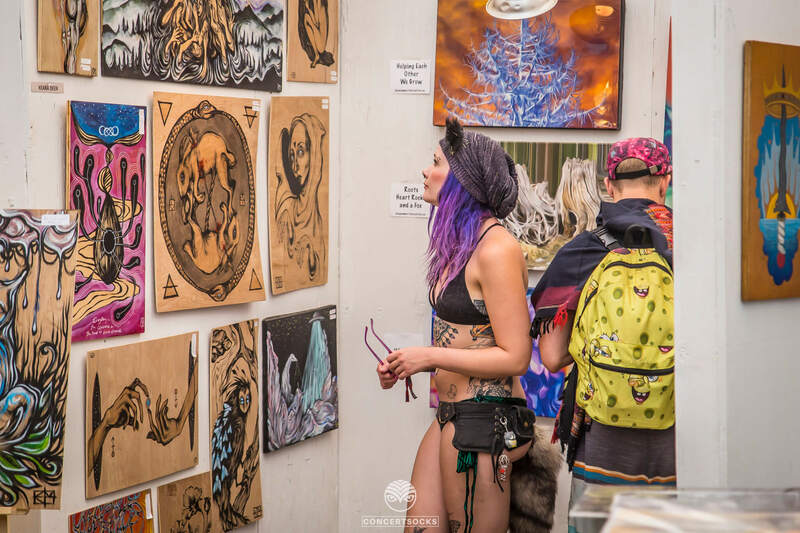 BASScamp Gallery is a team effort, and we love to have enthusiastic creative artists to interact with the audience, do live painting and give artist talks. 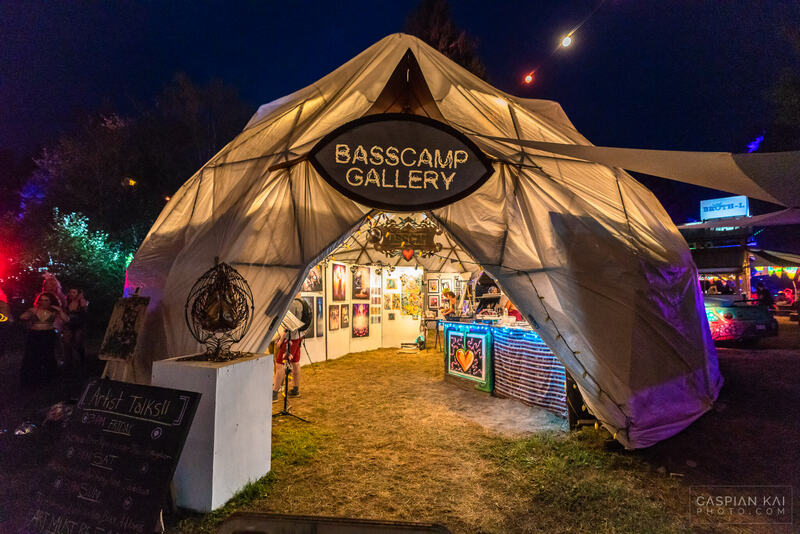 Please indicate in your submission if you would like to be part of BASScamp Gallery Crew, and what skills you can bring to the team. 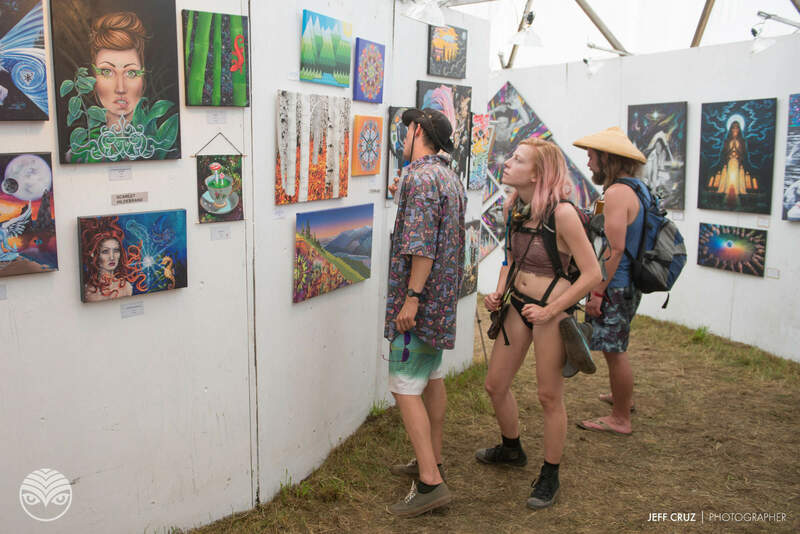 Apply to exhibit your art in the BASScamp Art Gallery at the 22nd Annual Shambhala Music Festival, August 9th - 12th, 2019.